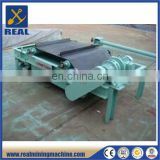 Series RCDB-18 suspended dry electromagnetic iron remover is a separation equipment used to remove iron from powdery or massive non-magnetic materials. 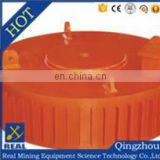 The inner part is poured by special resin with a naturally cooled wholly sealed structure. 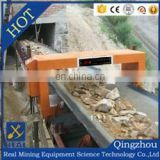 This machine is usually suspended over the conveyor belt to collect ferrous elements from non-magnetic materials. The property index of the product is higher than JB/T7689-95 standard. 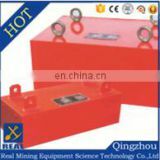 It can remove iron weighing 0.05~20KGS from non-magnetic materials. 1. 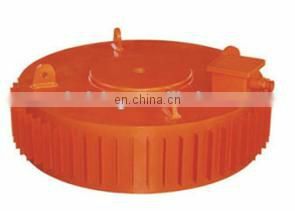 Strong magnetic intensity and special design for magnetic circuit. 2. 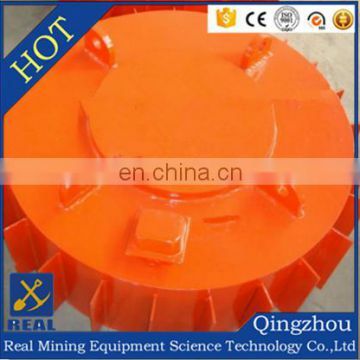 The wholly sealed structure makes the separator water-proof, dust-proof and corrosion resisting. 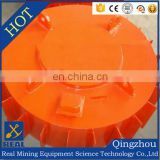 It can work steadily in extremely harsh occasions. 3. 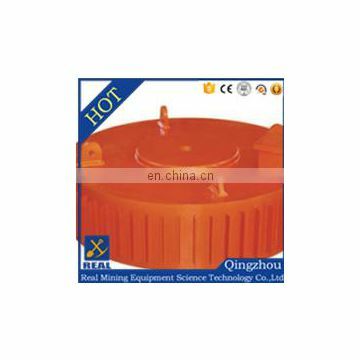 Large heat-releasing area with a thermal fin to prevent temperature from rising too much. 4. 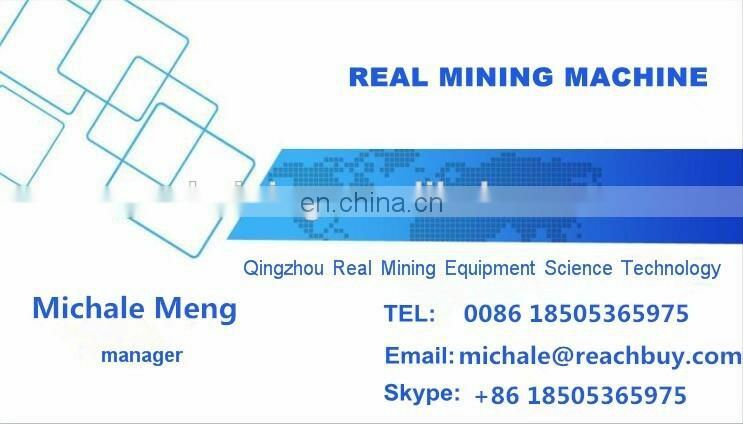 Low energy consumption and high processing capacity. 5. High efficiency and stable performance.